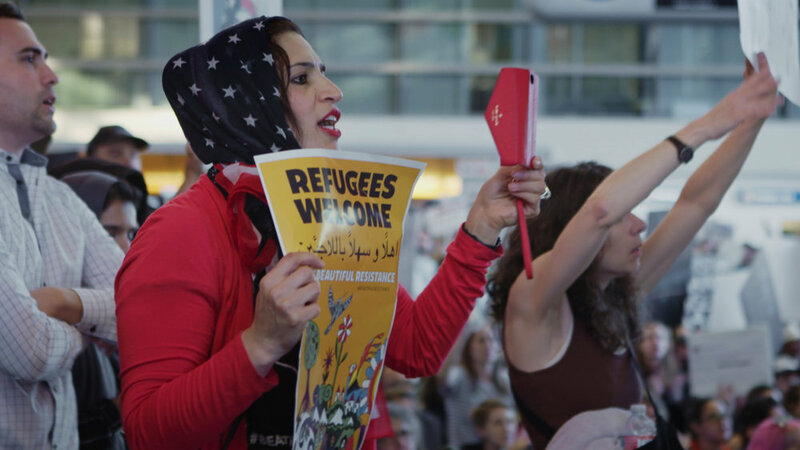 A behind-the-scenes look at Muslim-American activism and resistance in response to the Trump administration’s policies targeting the community. The film follows established civil rights organizations like CAIR (Council on American-Islamic Relations) as well as a new generation of youth who have been galvanized into action against the forces of Islamophobia. Nausheen Dadabhoy (DIRECTOR, DP) is a Pakistani-American director and DP from Southern California. She received her MFA in Cinematography from the American Film Institute. Since graduating, Nausheen has lensed a number of narrative and documentary films, including A JOURNEY OF A THOUSAND MILES (2015) with Academy Award winner Sharmeen Obaid and Geeta Gandbhir, and GIRL UNBOUND (2016), which premiered at TIFF. She also shot LA FEMME ET LE TGV (2016), a live action short film Oscar nominee. THE GROUND BENEATH THEIR FEET (2015) — her directorial debut following two Pakistani women after the 2005 earthquake — premiered at IDFA and was nominated for the OXFAM Global Justice Award.